Social media yields constant online chatter and offers up unparalleled access to society’s diverse views and beliefs. 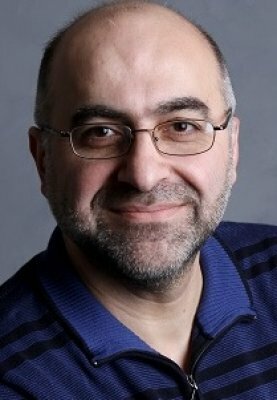 Leading an emerging field, Masoud Makrehchi, PhD, Associate Professor in the Faculty of Engineering and Applied Science, is one of Canada’s first researchers to mine and analyze social media data to help solve real-world problems. Working with law enforcement data, Dr. Makrehchi’s novel research uses social media to predict crime rate direction in neighbourboods. Extracting gold from an abundance of social media babble, he is developing unique algorithms and predictors for analytics to build better, safer communities. Along those lines, his research also focuses on modelling bullying behaviour in small communities. He aims to create a universal tool for modelling and simulation of dynamic social agent networks; allowing analysts, teachers, and law enforcement officers to analyze bullying behaviour, impact and consequences; and generate prediction models across ethnicity, gender, and disability. In collaboration with the University of Ottawa, Dr. Makrehchi is using social media to understand stock market movement, particularly during initial public offering (IPO). He is analyzing twitter feeds to determine public sentiment for pricing IPOs, and identifying this correlation to stock market success. A staunch advocate for social justice, Dr. Makrechi joined UOIT in July 2012, following his role as a senior research scientist in Research and Development for Thomson Reuters in Minneapolis-St. Paul, Minnesota, where he served as a consultant in 2013. From 2002 to 2007, he was a research assistant in the Pattern Analysis and Machine Intelligence Lab, and the Learning Objects Repositories NETwork (LORNET) a five-year, NSERC-funded project; both in the Department of Electrical and Computer Engineering at the University of Waterloo in Waterloo, Ontario. While there, he earned his Doctorate in Electrical and Computer Engineering in 2007. Dr. Makrehchi gained international industry experience as a systems analyst and project manager for ICT projects in various organizations including Irankhodro Automotive Industries in Tehran, Iran. 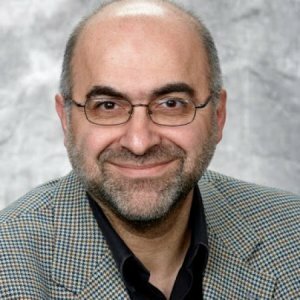 In 1994, he received his Master of Science in Computer Engineering from Shiraz University in Shiraz, Iran, and in 1991, he obtained his Bachelor of Science in Electrical and Computer Engineering from the Iran University of Science and Technology. Awarded for his co-authored, peer-reviewed, research paper Winning by Following the Winners: Mining the Behavior of Stock Market Experts in Social Media at the SBP14 Conference in Washington, D.C.
Dr. Makrehchi has made major contributions to his field, advancing social media mining and analytics techniques to predict behavioural outcomes. Dr. Makrehchi received the award for his research Conflict Thermometer: Predicting Social Conflicts by Analyzing Language Gap in Polarized Social Media at SBP12 in College Park, Maryland. International Conference on Social Computing, Behavioral-Cultural Modeling, and Prediction (SBP-2015) Washington, D.C.
Interacting with written contracts dealing with property, employment, and services is an everyday part of life. When drafting contracts, determining the correct language to ensure the user's needs are satisfied can be difficult. This invention allows for analyzing a cluster of conceptually-related portions of text (e.g., a cluster of contracts) to develop a model contract. Then the model contract is used to calculate a novelty measurement between an individual contract and the model contract for the best possible user outcome. The basis of this five-year research project is to analyze social media data to develop algorithms for predicting trends in crime and public sentiment, and moods related to market sentiment. The research also explores the science behind expressive writing and investigates ways to detect certain neurological disorders from expressive writing. This two-year research project analyzes social media data to develop algorithms for predicting trends in crime and public sentiment, and moods related to market sentiment. In collaboration with Search Engine People, a leading digital marketing firm, this research project focuses on natural language regeneration, and uses a machine learning approach to process naturally found language from structured data. In this paper a framework, which is called feature meta-ranking, is introduced to identify the best feature ranking measure among a set of candidate solutions for a particular text classification problem. The feature meta-ranking technique is implemented based on the differential filter level performance method. This method uses a simple classifier, such as Rocchio, to estimate the behavior of the feature ranking measure with respect to a particular data set. With respect to the use of a classifier in the feature selection loop, the proposed method can be considered as a hybrid feature selection technique with minimal use of a classifier in the loop. The proposed method is evaluated by applying it to six data sets. In a polarized society, rhetorical arguments are usually expressed by strong, extreme terms which by themselves carry a positive or negative sentiment about one side of the social debate or conflict. By detecting extreme terms in a social-political text such as a blog post, we are able to automatically detect the sentiment of the text about polarizing issues in a divided society. On the other hand, during social and political conflicts in polarized societies, we observe a shift from mainstream to extreme language and rhetoric. In this research, we illustrate that there is a correlation between the language shift and social conflicts. In other words, the language shift can be used as a signal for predicting social conflicts in divided societies. The data for this research were collected from Iranian political blogs during Iran election crisis in 2009. Feature ranking is widely used in text classification. One problem with feature ranking methods is their non-robust behavior when applied to different data sets. In other words, the feature ranking methods behave differently from one data set to the other. The problem becomes more complex when we consider that the performance of feature ranking methods highly depends on the type text classifier. In this paper, a new method based on combining feature rankings is proposed to find the best features among a set of feature rankings. The proposed method is applied to the text classification problem and evaluated on three well-known data sets using Support Vector Machine and Rocchio classifier. Several combining methods are employed to aggregate ranked list of features. We show that combining methods can offer reliable results very close to the best solution without the need to use a classifier. In this paper, a framework for automatic generation of fuzzy membership functions and fuzzy rules from training data is proposed. The main focus of this paper is designing fuzzy if-then classifiers; however the proposed method can be employed in designing a wide range of fuzzy system applications. After the fuzzy membership functions are modeled by their supports, an optimization technique, based on a multi-objective real coded genetic algorithm with adaptive cross over and mutation probabilities, is implemented to find near optimal supports. Feature ranking is widely employed to deal with high dimensionality in text classification. The main advantage of feature ranking methods is their low cost and simple algorithms. However, they suffer from some drawbacks which cause low performance compared to wrapper approach feature selection methods. One well-known document representation for text clustering is bag-of-words. Although it is simple and popular, it ignores semantics, underlying linguistic information, and word correlations. In this paper, Bag-Of-Queries, a new document representation is proposed. This study is concerned with the analysis of training data distribution and its impact on the performance of multiple classifier systems. In this study, several feature-based and class-based measures are proposed. These measures can be used to estimate statistical characteristics of the training partitions. To assess the effectiveness of different types of training partitions, we generated a large number of disjoint training partitions with distinctive distributions. Then, we empirically assessed these training partitions and their impact on the performance of the system by utilizing the proposed feature-based and class-based measures. We applied the findings of this analysis and developed a new partitioning method called "Clustering, De-clustering, and Selection" (CDS). This study presents a comparative analysis of several existing data partitioning methods including our proposed CDS approach.